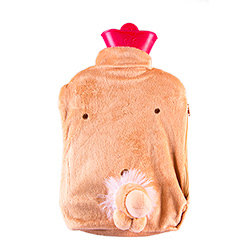 Nobody likes to be cold at nights and now there really is no need to be with this fantastic willy hot water bottle. The bottle itself is fairly standard but the cover has a hilarious willy on it and comes in a great skin colour to make it look even more realistic. Wait until the hen is about ready for bed and fill this up and put it in there, not only will it keep her warm but it will also give everyone a good giggle too.